The demand for any sweeping and revolutionary change in existing conditions, whether political, industrial or religious, throws upon the sponsors of such a change the burden of proof. Present evils must be clearly demonstrated, and the proposed remedies must hold out a reasonable hope of permanent betterment. 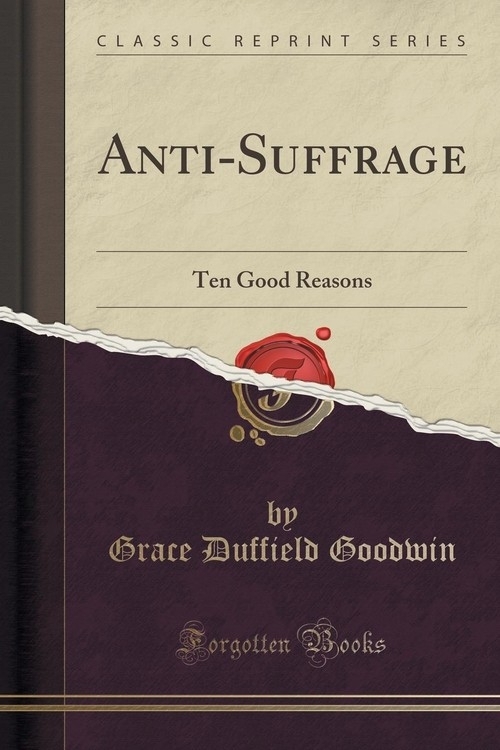 The ardent supporters of the present demand for universal adult suffrage (the exact meaning of "votes for women") are under the necessity of proving to American women their present evil condition, and of proving, also, that universal adult suffrage is the panacea.